Your deposition will have a substantial impact on the outcome of the trial, so it is best to be as well-prepared as possible and know how to properly question the witness. Here at MGR Reporting, our clients are typically legal professionals. Recently, however, we’ve had several individuals contact us to schedule deposition services. This seems to be a growing trend as self-representation in civil cases becomes more common. Many citizens, disenchanted with legal professionals, decide to forgo the hassle and expense of an attorney and represent themselves in court. Approximately two million New Yorkers appear without lawyers in New York State Courts every year. While we don’t recommend going to court without an experienced attorney, you are legally entitled to do so. Depending on the type of case, it may even be in your best interest. When you decide to proceed without legal counsel, you are said to be acting “pro se.” Pro se is a Latin term meaning “on one’s own behalf.” Many states, local courts, and public interest groups offer self-help assistance for pro se litigants. An Internet search will yield many resources, such as sample documents, forms, and DIY handbooks. None of them, however, will provide legal advice regarding your specific case. That is something only a qualified attorney can give. The success of your pro se proceedings will be determined by your own common sense, preparation, and fortitude. Pro se parties are bound by the same rules and entitled to the same benefits as individuals with legal counsel. As a pro se litigant, you will be required to follow the established legal procedures, just as an attorney would. You file the appropriate documents with the Court, assemble evidence, conduct discovery, subpoena witnesses, and present your case at trial. The pre-trial discovery process is when you and the opposing attorney gather information and discover the facts of the case. With thorough, effective discovery, many cases can be resolved before trial. You can familiarize yourself with the New York Civil Practice Law & Rules relating to discovery. Some of the tools used in discovery are requests for production of evidence, interrogatories, requests for admissions, and depositions. As a pro se litigant, you may find the opposing attorney is reluctant to respond to your requests. Be persistent in your efforts. They are required by law to disclose information pertaining to any issue in your case, unless the information is “privileged” or otherwise legally protected. Edward C. Lawson, an African American civil rights activist, was the pro se defendant in Kolender v. Lawson (461 U.S. 352, 1983), in which the U.S. Supreme Court ruled that a police officer could not arrest a citizen merely for refusing to present identification. Robert Kearns was the inventor of the intermittent windshield wipers. He acted as his own lawyer in parts of his long legal battles for patent infringement against Ford and Chrysler. His legal battles are the subject of the 2008 film Flash of Genius. Jim Traficant, a former U.S. Representative from Ohio, represented himself in a Racketeer Influenced and Corrupt Organizations Act case in 1983, and was acquitted of all charges. Traficant would represent himself again in 2002, this time unsuccessfully, and was sentenced to prison for 8 years for taking bribes, filing false tax returns, and racketeering. Pro se litigants may conduct their own witness depositions. A deposition is when a witness in a case gives sworn testimony, outside of the courtroom, and everything said is recorded by a court reporter or stenographer. One purpose of the deposition is to give both sides an idea of what will be said on the witness stand at trial. The other purpose is to create a written transcript of sworn testimony that can be used at trial. If you are planning to depose a witness, it is your responsibility to arrange for and pay the court reporter. You must also notify the opposing attorney so that they can be present. The opposition will have the right to question the witness when you are finished. The deposition is attended by the witness (deponent), their attorney, any other party in the case and/or their attorney, and a court reporter. The deposition will take place in the court reporter’s office or in a conference room at the attorney’s office. Depending on the case, the deposition can take less than an hour or span several days. The court reporter, as a representative of the court, will make the official record of the deposition. 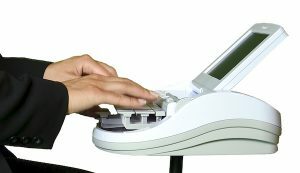 This digital or stenographic record is then converted to a written transcript. You can also arrange for a videographer to record the deposition on video. This could come in handy if the witness will not be able to appear in court at the time of trial. Attorneys often use video testimony in court so that the jury can see the body language and expressions of the witness. Prior to the start of the deposition testimony, the witness will be sworn-in by the court reporter in the same way they would be sworn-in before giving testimony in front of a judge and jury. At that point, the court reporter or stenographer begins making an accurate, verbatim record of all that is said, in the same way that witness testimony is recorded in court. Everything said by any party will be “on the record” and transcribed. You can refer to your copy of the final transcription if the witness gives conflicting testimony at the trial. Your deposition will have a substantial impact on the outcome of the trial, so it is best to be as well-prepared as possible and know how to properly question the witness. There are a number of publications available for purchase, such as Nolo’s Deposition Handbook, that may provide some assistance. Before your deposition date, be sure to consider and define what your goals are. Are you hoping to settle the matter out-of-court? Do you want to discredit the witness or challenge stated facts? Your goals will determine your strategy. Put together a list of the main issues of the case, the known facts, and evidence. You will want to have a brief outline of questions, but be prepared to deviate if the witness response requires. It might be a good idea to practice beforehand to work on your delivery and organize the flow of your questions. Being a party to a lawsuit can be daunting, no matter which side you are on, so expect to be nervous on deposition day. You can also be pretty sure that the witness will be equally nervous. Even new attorneys can find depositions intimidating, until they have a few under their belt. Ask clear, direct questions. Most of them should require only a “yes” or “no” answer. If you want the witness to provide specific details, ask a specific, detailed question. If the witness responds with “I don’t know” or “I don’t recall,” acknowledge that and keep moving. You want a factual account of events, not guesses or estimates. Make sure the witness understands your question. Sometimes, it’s just a matter of how something is worded. Be prepared to rephrase or repeat questions. You may also ask the stenographer to read back what was just said. If your case involves documents, be sure that copies have been provided to all parties. Speak clearly and loud enough for everyone to hear you. The court reporter can only record what is heard. For accurate recording and transcription, it is important that only one person is speaking at a time. Never show anger. Even if the witness lies to you under oath, remain calm. Acting pro se in any legal proceeding is challenging. There will likely be obstacles that only an experienced, skilled attorney can maneuver around. If you are determined to represent yourself and depose witnesses, at least consult with legal counsel for advice on your intended strategy. In the end, your success will be based on your own knowledge of the facts, your understanding of the law, and your ability to think on your feet. 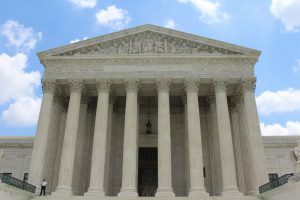 If you are thorough and persistent, your pro se proceedings could go extremely well and you will have the satisfaction of knowing that justice was truly served. If you are planning to depose a witness, contact MGR Reporting to schedule your deposition. We have a 25-year history of providing high-quality, accurate and timely court reporting and transcription services. For your convenience, we offer complimentary deposition suites at locations throughout New York City.